DÍAZ-YAÑEZ O, MOLA-YUDEGO B, ANTTILA P, RÖSER D, ASIKAINEN A. 2013. 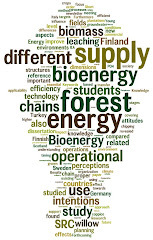 Forest chips for energy in Europe: current procurement methods and potentials. Renewable and Sustainable Energy Reviews 21:562–571. Forest chips are becoming an important alternative resource for energy in Europe. The aim of this study is to review and analyze the current procurement methods and potentials of forest chips in Europe, based on questionnaires sent to relevant experts in different countries as well as a literature review of existing literature. The compilation of current uses of wood chips and existing procurement methods was based on data from several professionals in 17 countries. The analysis of the forest chips potentials by countries combined data supplied by the experts as well as additional sources based in the literature. The results showed that Finland and Sweden use the largest volumes of forest chips, and is expected that many other countries will experience a significant increase in the use to produce energy. Currently, the main source of forest chips in most of the countries are logging residues, but in the near future it is expected a shift towards increasing utilization of stumps and roundwood. In the EU, the estimates for biomass potential for energy available under current conditions were 277 M m3, for above ground biomass and 585 M m3 for total biomass. The total long term potential is estimated to be 913 M m3. The results of this study reveal that significant volumes of forest chips are used in most of the selected countries for energy and the experts consulted as well as the literature suggests that even larger volumes can be mobilized and novel technology developed to improve the efficiency of supply. Supply chains. (A) Felling/cutting, (B) off-road transport, (C) chipping/crushing, (D) road transport. 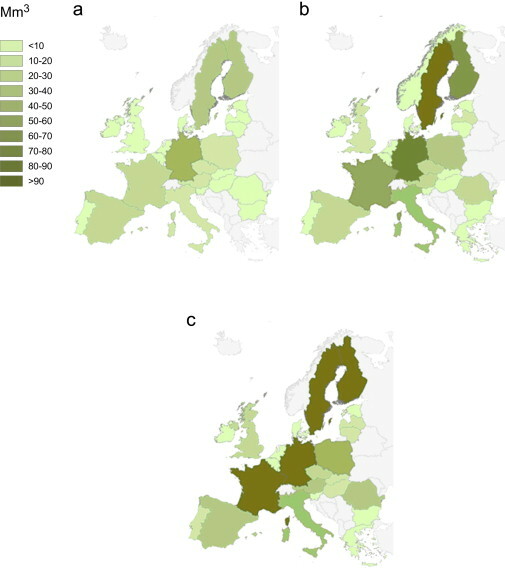 Average estimates of forest wood biomass potentials in Europe (M m3). 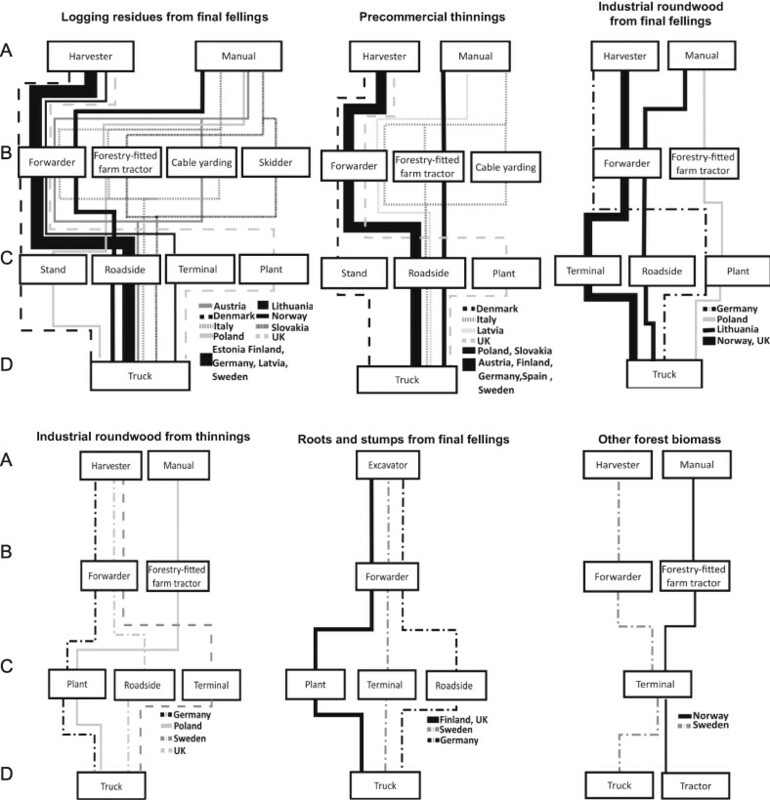 (a) Above ground biomass, current conditions, (b) total biomass, current conditions, (c) total biomass, highest potential.